The markets continue to trend slightly upward from last week. Bitcoin is currently $6,785. Ethereum is at $480, and Litecoin has been stable at $81. Special offer for TWiC listeners: Use promo code TWiC30 for a 30% discount on general admission for Crypto Invest Summit. Support TWiC on Patreon! A study conducted by Imperial College London, claims that digital currencies like Bitcoin and Ethereum have already passed one of the three fundamental tests to become a bona fide currency: acting as a store of value. The study references three main criteria for currencies. This includes being able to act as a store of value, a medium of exchange, and a unit of account. Bitcoin and other major cryptocurrencies are already serving one of those roles, as millions of people are using them as a store of value. To become a legitimate currency, the coins will need to fulfill becoming a medium of exchange. This will make it easier for people to exchange goods and services. The coins must also prove they can be used as a unit of account, acting as a measure of value in the economic system. In order to fulfill the final two criteria, Bitcoin and other cryptocurrencies will need to overcome challenges like scalability and regulation. According to Chainalysis, a blockchain-analysis firm based in New York City, about a fifth of all bitcoin—around $20 billion—is lost. In 2010, when Bitcoin was worth less than $10, people were definitely not as cautious with their private keys. Today, Bitcoin is trading over $6,700 per coin. These private keys and seed phrases, which is what you need to access bitcoin, lie in lost slips of paper, misplaced USB drives or damaged hard drives. Most of the lost cryptocurrencies are in Bitcoin. This is simply because bitcoin was the first of its kind and has been around the longest. There are groups of individuals and firms called crypto hunters that can help recover lost funds. Most bitcoins may be permanently lost. Luckily, with a portion of a private key or seed phrase, these hunters can help recover the funds. Most companies charge a percentage of lost coins for the service. Success may be very low and varies case by case. Chainanylsis, the blockchain firm that released this report, works specifically with the FBI on crypto related crimes. Always be cautious when creating a new wallet and ensure your private keys and seed phrases are stored in a secure place. Since Google put a ban on cryptocurrency related ICO ads, there is rumour that Google is planning to establish its cryptocurrency firm. Interestingly enough, Ethereum (ETH) co-founder, Vitalik Buterin, sent out a tweet that was later taken down had said a Google recruiter contacted him for cryptocurrency related work with Google. 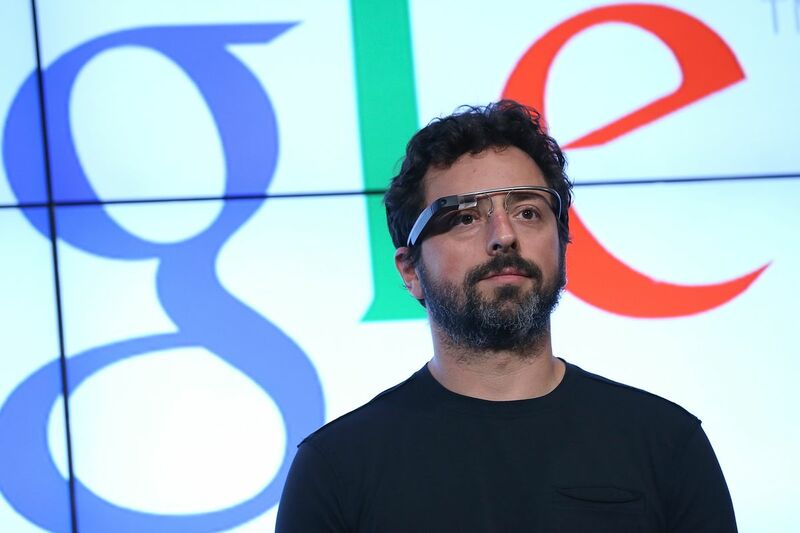 Sergey Brin, who has an estimated net worth of $52 billion, is mining Ethereum with his son. He mentioned this while speaking at the 2018 Blockchain Summit. Sergey Brin also called the potential of zero-knowledge proofs ‘really mindboggling.’ These proofs can be used to show that a transaction is accurate without revealing the transaction data to the nodes. This is one of the main privacy settings behind Zcash as opposed to Monero. A patent application from the Industrial and Commercial Bank of China outlining a blockchain platform intended to improve financial asset exchange has been published. The institution is one of the world largest in terms of assets. The patent describes a system whereby once a participant has requested a transaction, an EDCC (or smart contract) will cause it to be validated by every node in the network. Validation is based on information such as the ID of the buyer and seller, and the commodity ID. Once the bank’s preset number of nodes has validated the transaction, it will then be considered complete. The blockchain platform is intended to improve the efficiency of the current system. It does this by removing intermediaries, increasing the speed of cross-border transfers, and improving the liquidity of financial assets.